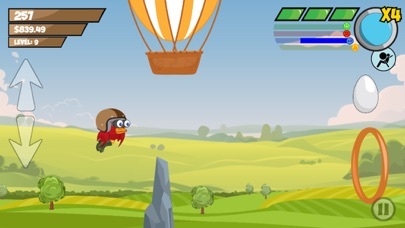 Guide Red the Bespectacled Bird through a series of increasingly challenging obstacles and enemies. Break open Bird Eggs to gain valuable power-ups, such as Laser Specs and Demo Goggles. But watch out! Some Bird Eggs contain nefarious power-downs like Bad Weather or the dreaded Topsy-Turvy! Get Bird Bucks by flying through rings and by picking up Vision Multiplier goggles. Spend your hard earned Bird Bucks on power upgrades or new clothes for Red! For kids and the parents alike! Red's Journey is now FREE!